The Apple team just launched the iPad 2, thinner and faster than the previous and first version of the iPad. It has got many good changes, and even would be powered with an operating system version which would support the new apps that will make the iPad 2 one of the best tablet devices around. 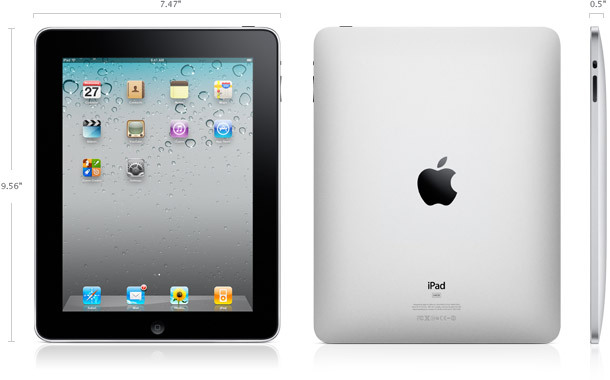 The iPad 2 has got a thinner and a sleek design, not like the box thick-edged design of the iPad, which wasn’t ugly too. The display is same in both the generations – 9.7-inch (diagonal) LED-backlit glossy widescreen Multi-Touch display with IPS technology, having a screen resolution of 1024 x 768 pixels. The Apple iPad had a 1GHz CPU system-on-a-chip, but the iPad 2 has a 1GHz dual-core Apple A5 custom-designed, high-performance, low-power system-on-a-chip, which makes the speed to double performance. Camera – The iPad 2 has two cameras, one in the front and one on the rear side. There was no camera in the iPad. Three-axis gyroscope – This is the one as seen in the iPhone and iPod touch, but which was lacking in the first iPad. 30-pin dock connector port, with HDMI output. Switch to mute or lock the rotation of the screen. iOS 4.3 coming with the iPad 2, to support the iMovie, FaceTime and Photo Booth apps. The iPad 2 pricing is nothing different to that of the iPad, with the prices starting at $499 for the WiFi version 16GB to the highest price at $829 for 64GB WiFi + 3G version.